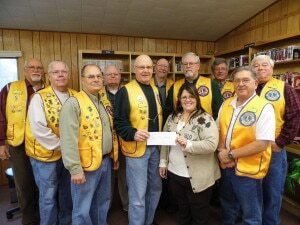 Because the health of the worldwide community begins at home, the Phelps – Land O’Lakes Lions Club encourages the success and well-being of our local area through financial support and volunteer involvement. Phelps – Land O’Lakes Lions Club Can Help You! In addition to our many local causes and services, our club is ready to assist individuals in need any way that we can. We know that life gets tough sometimes, and a small bump in the road can have long-term effects that are difficult to overcome. If you find yourself in need of a helping hand, the Lions Club is here for you. Please Contact the Lions Today! to learn more about any assistance we may be able to provide.